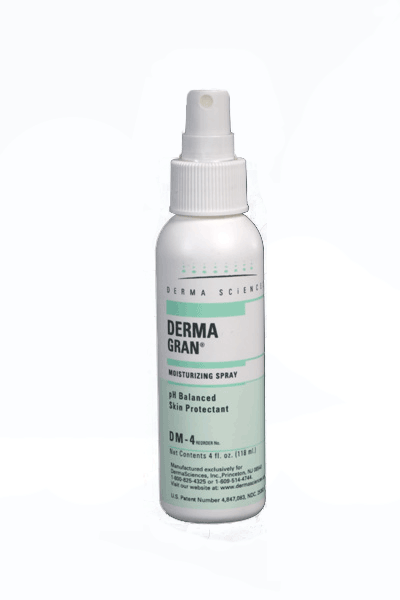 Dermagran Moisturizing Spray, manufactured by, Derma-Sciences moisturizes and conditions the site of the wound while providing needed vitamins and minerals. Wound care involves several processes to effectively treat, clean and protect the healing wounds. The Dermagran Moisturizing Spray offers a great start to this care by providing moisturizers and conditioners to the skin helping to prep it for the application of Dermagran Ointment or other topical ointments and barriers. Use of moisturizers and barriers helps to provide soothing relief to the healing patient. The Dermagran Moisturizing Spray has needed minerals to help the healing process. The ingredients in this product help to keep the skin conditioned and moisturized. When skin is not moisturized it runs the risk of drying out. This can cause the skin to peel and break open leaving it at risk for further injury and bacteria. Bacteria in the wound can cause fungus and other infections which can be serious. Keep skin moisturized and conditioned . 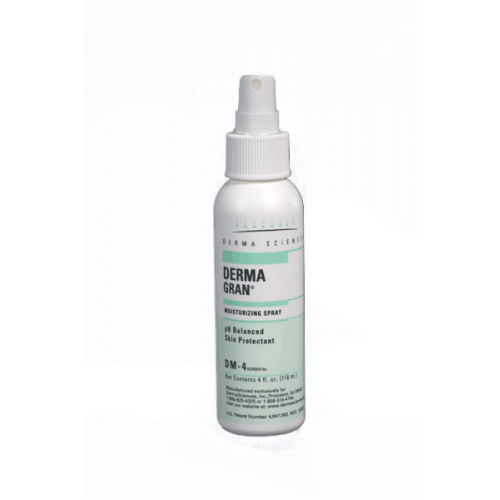 BUY Dermagran Moisturizing Spray from Vitality Medical today.